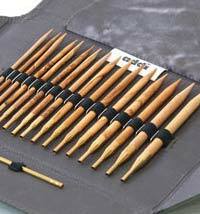 For those who prefer the touch of wood while knitting along with the convenience of interchangeables, we've got a great selection from Knitters Pride and Addi in rosewood, birch, bamboo and the lovely olive wood, along with KA's bamboo set and the Lineaz in birch from Plymouth. 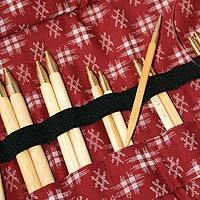 These sets often come in special packaging and make great gifts for the serious knitter needing a new inspiration or someone just getting started! 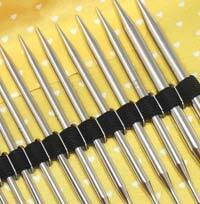 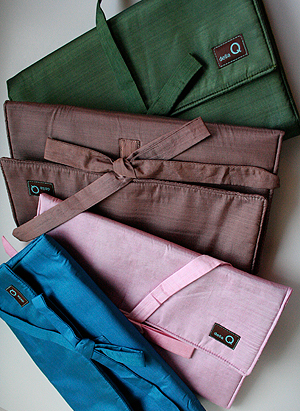 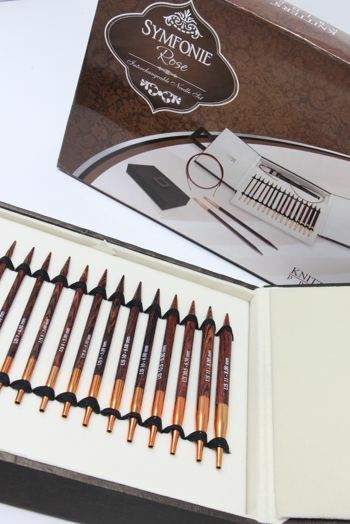 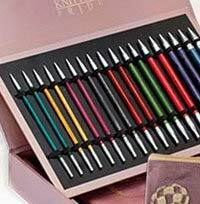 Check out DELLA Q's beautiful Cases for these needles. 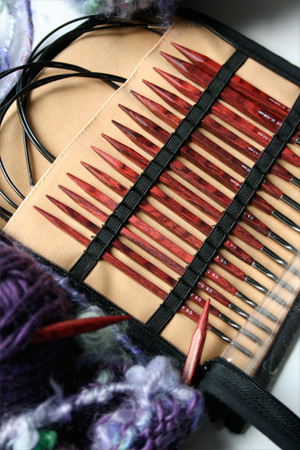 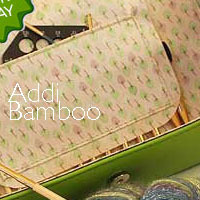 Need a gorgeous and super functional case for your needles? 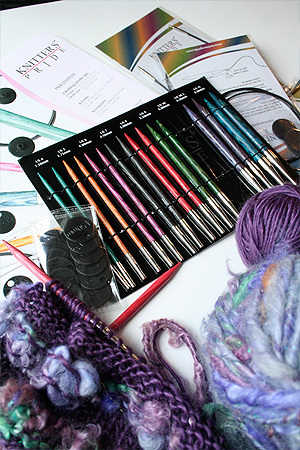 Look no further Della Q silk knitting needle cases, for both straight and circulars, including the QUE circular needle case. 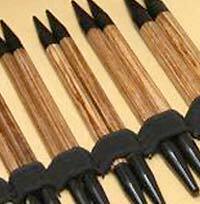 The convenience of interchangebles—with the warm touch of wood.